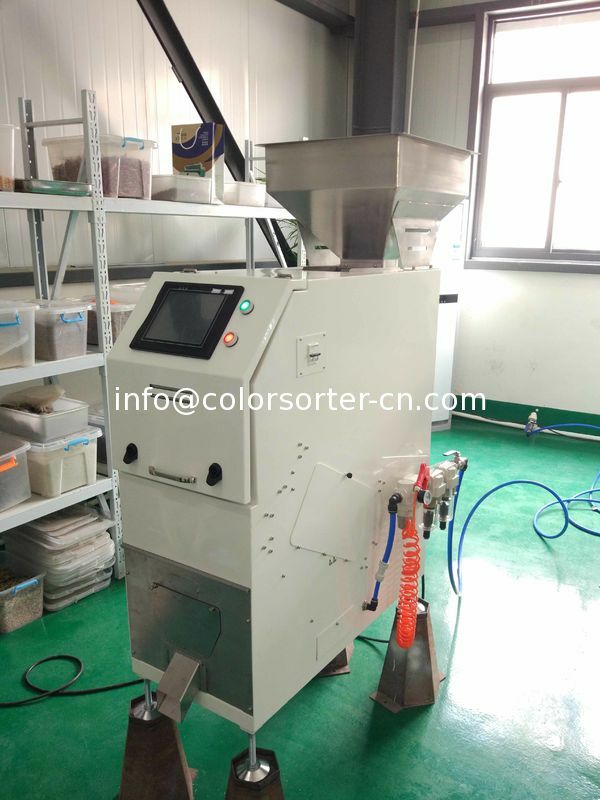 The mini color sorter machine is an automatic,cost effective,full color RGB,portable optical sorting machine for small and medium commercial applications,pre-production lots and laboratory use. Featuring two high resolution cameras,small ejector pitch,uniform lighting and sorting capacity from 50 kg up to 1 ton/hour ,this compact color sorter is able to offer high quality sort equal to its larger counterparts. Additionally,our small color sorter machine is offering an added benefit of minimal operator training by utilizing an intuitive full color user interface touch screen and the ability to automatically set sorting parameters. Suitable sorting range:vegetable seeds,coffee,soya,sesame seeds,rice,cereals,seed corn,beans.